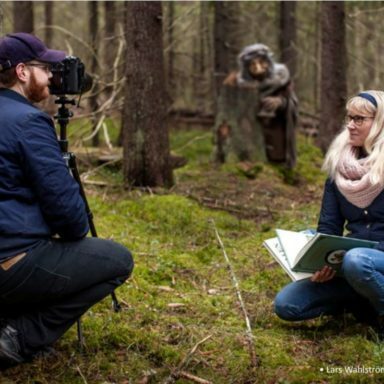 It wasn’t that long ago since people expected to see trolls, elves and gnomes close to their homes. 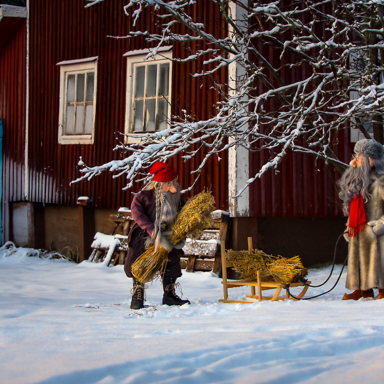 These creatures were a natural part of the everyday life in Sweden. They helped the swedes to behave, and to explain the unexplainable. 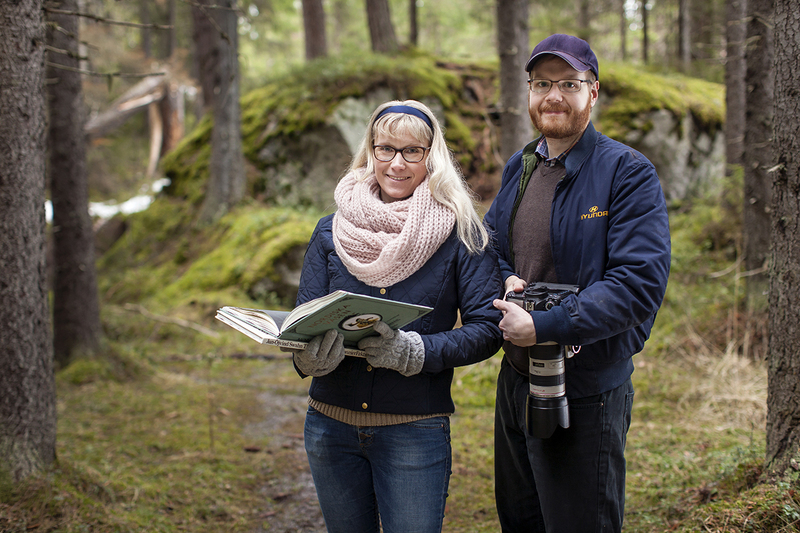 Today Swedish folklore are considered as fairy tales and imagination. But what if these beautiful ancient creatures suddenly walked past us in the woods? That’s an interesting question the trio behind Oknytt asks themselves. 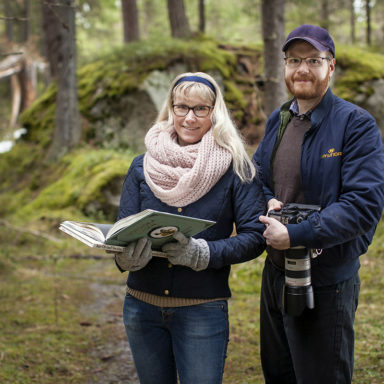 Oknytt consists of the writer Sara Boström, the photographer Lars Wahlström and the artist Eva Boström. 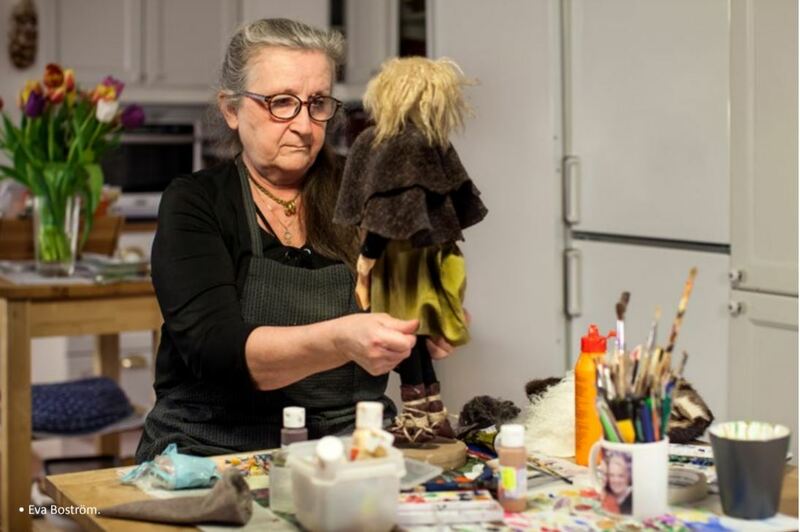 Together they bring the old stories to life. 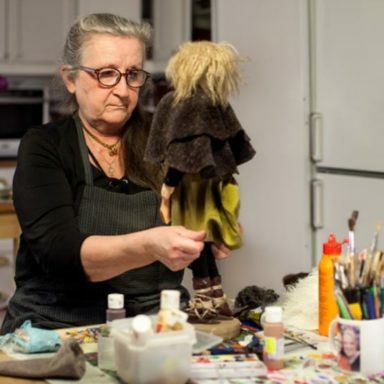 They create these creatures and follow them to mysterious places to tell their stories. 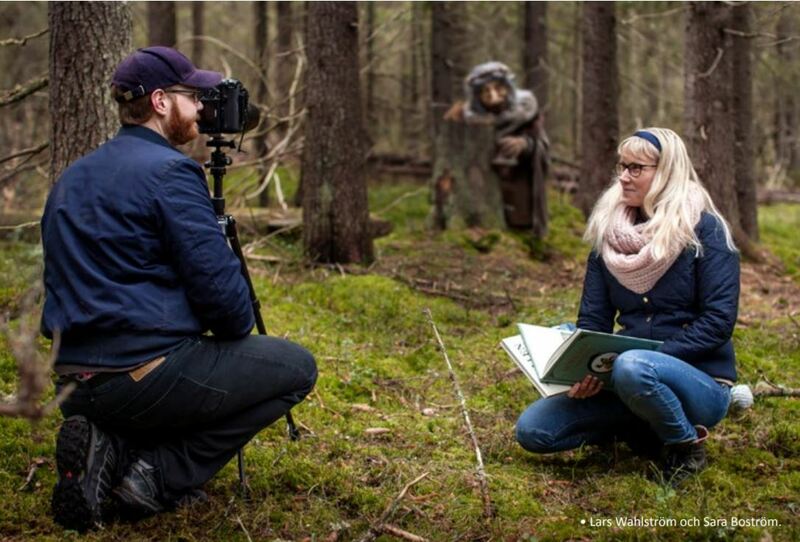 Sara, Lars and Eva wants to create bigger interest of Nordic folklore and mythology and give the audience an inspiring enigmatic feeling. Behind every constellation is a lot of preparations and a will to bring back exciting meetings and forgotten notions. They have showed their pictures and written stories on different exhibitions and they are interested of exhibit more, they also sell high quality prints. 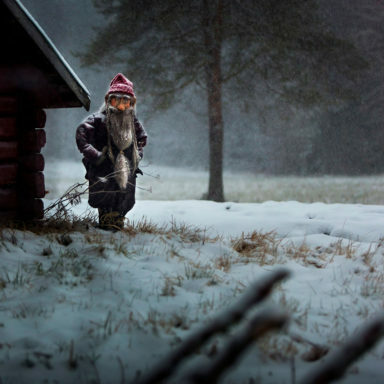 On Christmas, it was common to put out a bowl of porridge to the farm gnome. He protected the farm and the animals on it and he deserved a nice portion of porridge. 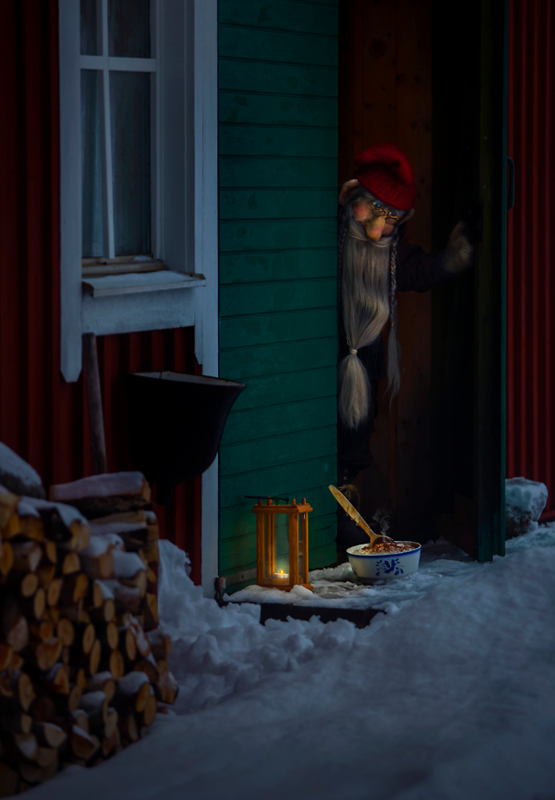 Some families still put out a bowl of porridge to the gnome on Christmas, mostly as a fun tradition for the kids. 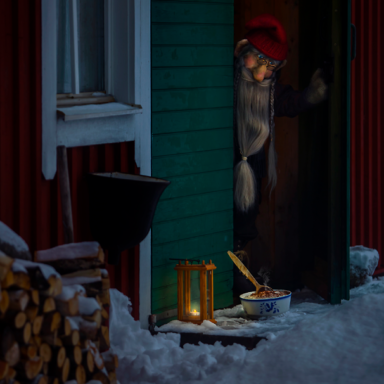 But you never know, he might exist and thank you by taking extra care of your house and your pets if he gets his Christmas porridge. 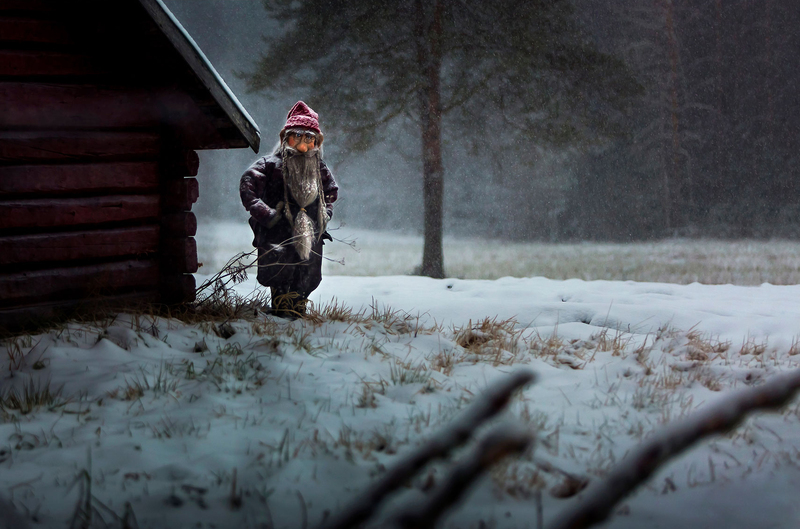 Through art, words and photography Oknytt tell the story of the gnome families. 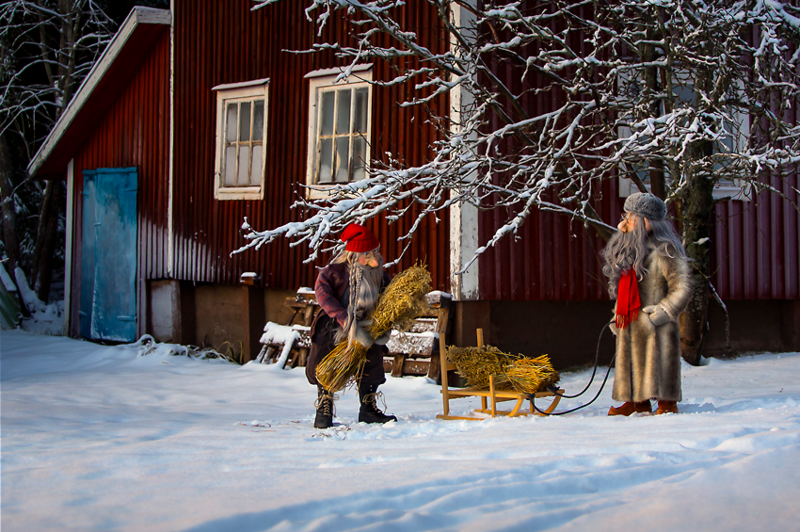 We wish Oknytt and all other creatures a Merry Christmas and a Happy new year!